The Maritzburg United vs Tuks PSL game originally scheduled for the 18th of October 2015, was postponed to a date yet to be announced. This was due to Orlando Pirates being involved in the CAF Competition that led to the delay of their Telkom KO game against Tuks, which will now be played this Friday the 16th . The Team of Choice has kept itself busy in the two week break before the next game at home against Chippa United on the 21st Of October. Two friendlies against Golden Arrows and Free State Stars has given Head Coach Clive Barker a good opportunity to instill his methodology and work on the boys sharpness and mental strength. “The spirit in camp has improved dramatically. The guys are more confident on the ball and they are a good ball-passing team," said Marketing and Communications Manager, Brian Zuma. 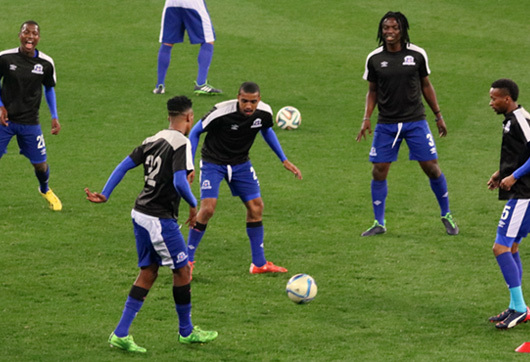 “You can expect a much more purposeful and dangerous Maritzburg United against Chippa. We are looking forward to our first league win," he concluded.